And then this one seems entirely appropriate. My vote is the frozen saddle. I concur that it seems very appropriate. 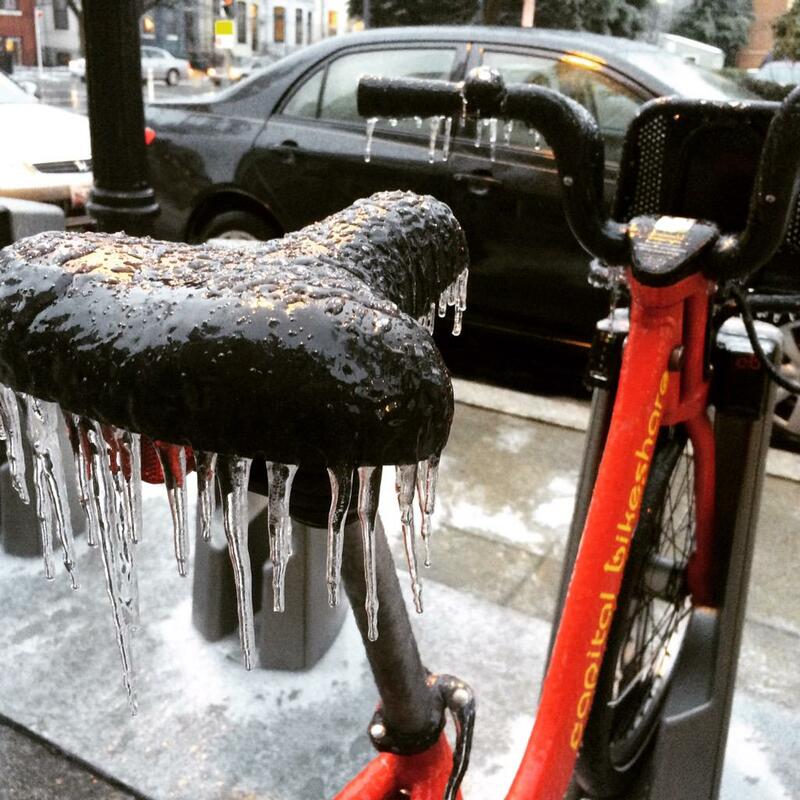 Frozen CaBi is our icon. Frozen MoBi is our banner. Sorry I did not make it to HH. One of my colleagues was leaving, and as we've worked together closely for a while, I thought it better of me to see her off. I live in Silver Spring, near Piney Branch and Sligo Creek. I will sign up for the Strava team shortly, and I look forward to meeting you all. So where are our other 3 team members? Four years ago was my first Freezing Saddles and somehow I ended up being a team captain. Thank goodness for the support I had from Wheels & Wings. The hardest captain task was tracking down wayward team members. Good luck Andy. Last edited by AliasXIII; 01-12-2019 at 04:45 PM. Hey team -- it looks like we're having the same issues as some other teams with people registered for the Strava group, but not showing up -- it looks like huskerdont and jctonett aren't showing up on the boards. Can you try to reauthorize? I live in DC in Bloomingdale. Also furloughed, so very free for the near future, but usually weeknight evenings or weekend afternoons would be my preference for get-togethers. Sorry to miss the happy hour! I just joined the Strava team. 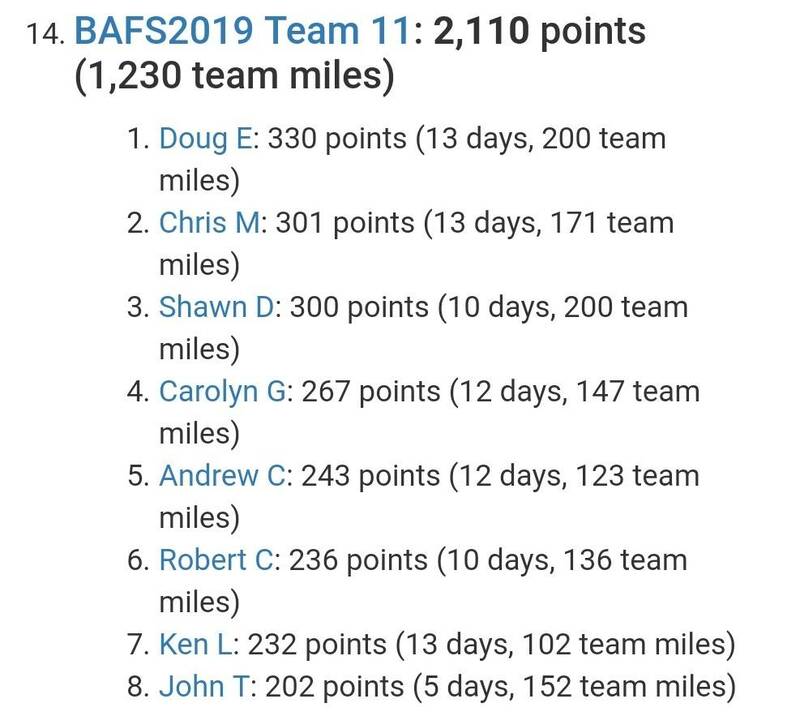 I'm showing up on the Strava team as second with 133.7 miles. I'm not huskerdont on Strava, but Doug E.
Last edited by huskerdont; 01-13-2019 at 04:42 PM.